UEFA Youth League 2014/2015 runner-up with Shakhtar. 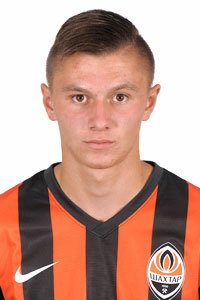 Oleksandr Zubkov is a product of Shakhtar Donetsk. He is a part of very talented generation of their players born in 1996, including, among others Viktor Kovalenko, Mykola Matvienko, Andriy Boryachuk and Vasyl Shtander. Zubkov was one of the key players of Shakhtar during UEFA Youth League 2014/2015 campaign, in which young “The Miners” have overachieved and only lost in the final against Chelsea. It is almost certain that he will get his chance in the first team anytime soon. He is also a member of Ukraine U-19 national team, which still have a chance of qualifying for U-19 UEFA European Championship 2015.